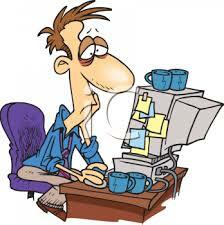 This is a series of 18 slides which I will deal with very briskly - but I hope not superficially. 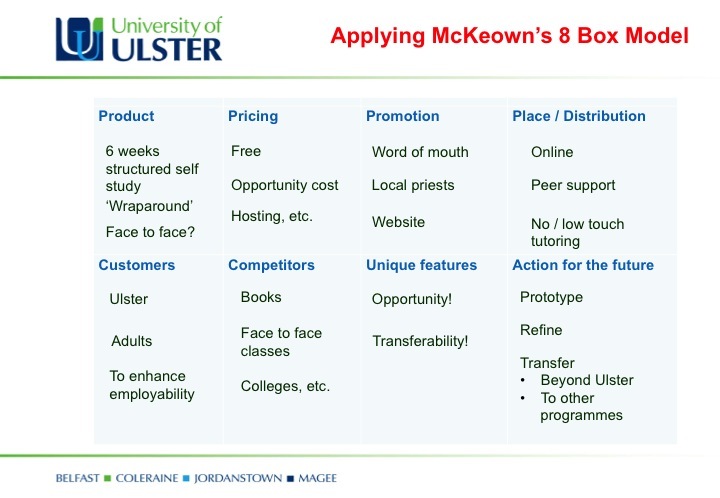 Its purpose is to demonstrate a working progress on a real world project that I am developing as a business case for further consideration within the Business Institute. 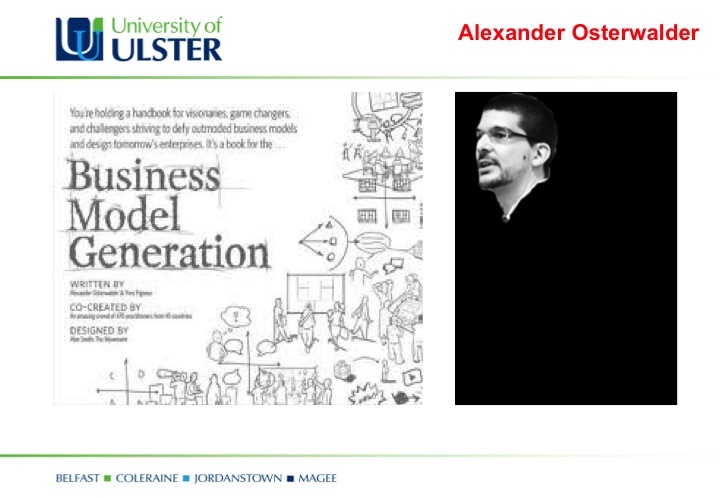 This slide identifies the objectives of the presentation and the business case, provides an overview of content and sets out some outcomes that I hope to have achieved by the end of this project. 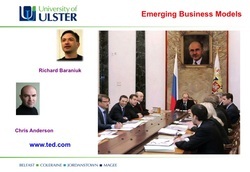 Using the slide I speak briefly about my own background both in the Ulster Business School and, at an earlier stage, in the world of TEFL (Teaching English as a Foreign Language). In this way I hope to draw together the two significant strands that are combining to form the foundation for this business case. 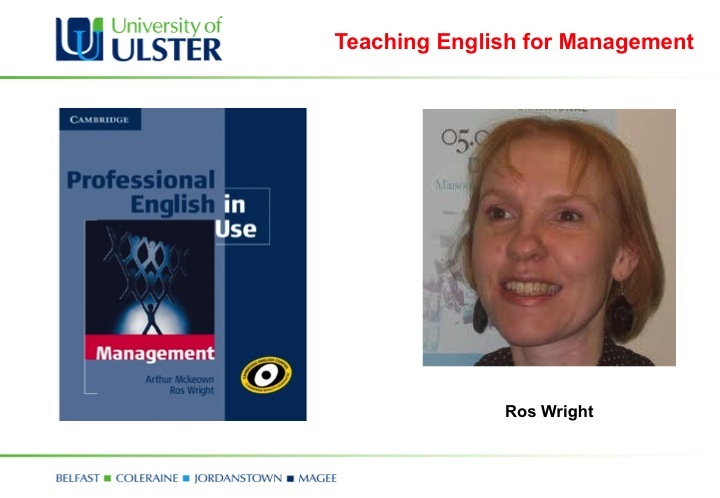 Optional: This presentation in pecha kucha format introduces Professional English in Use Management. 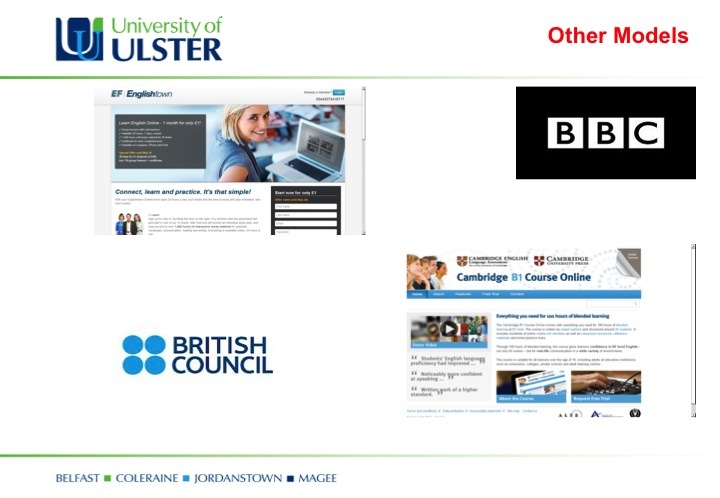 A range of different programmes for use in social media is discussed, such as how Facebook has replaced Bebo and MySpace, how LinkedIn is the preferred communication instrument for professional purposes and how Twitter can be used for once continuing professional development if one is able to follow the leaders and champions in areas of particular interest. Brief mention is often also made of the legalities and intellectual property issues around some resources available online; for example, Napster has been replaced by Spotify for streaming music. 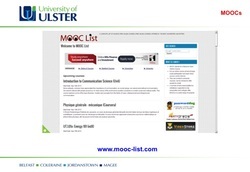 www.commoncraft.com provides useful three minute overviews of a large range of social media. 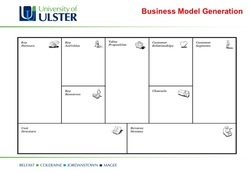 I mention briefly the approach adopted in the in the development of the business plan, drawing partly on traditional approaches to business planning and the ideas of the business model canvas developed by Alexander Osterwalder and his colleagues. 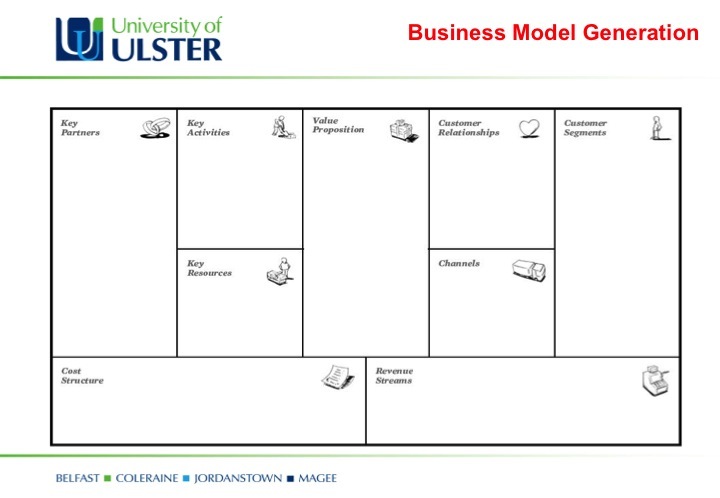 This slide provides an opportunity to set the agenda for what I will be going on to use as a template for the business plan later in the presentation, based on the nine elements in the business model canvas. 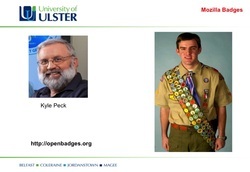 Being a lapsed classicist, I describe how I was able to explore some of the offerings in the fields of ancient history and philosophy, using the MOOC format – great courses from great teachers, for free! 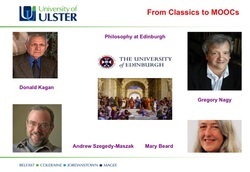 Examples include Donald Kagan's Introduction to Ancient Greek History, Gregory Nagy's The Ancient Greek Hero plus the University of Edinburgh's Introduction to Philosophy. In particular, I sampled Andrew Szegedy-Maszak's The Ancient Greeks and kept an eye on Mary Beard's blog. 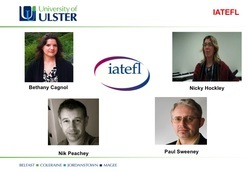 The individuals identified on this slide are some of my various contacts in the world of language teaching, especially four individuals who discussed MOOCs with me during my visit to the IATEFL Liverpool conference, April 2013. 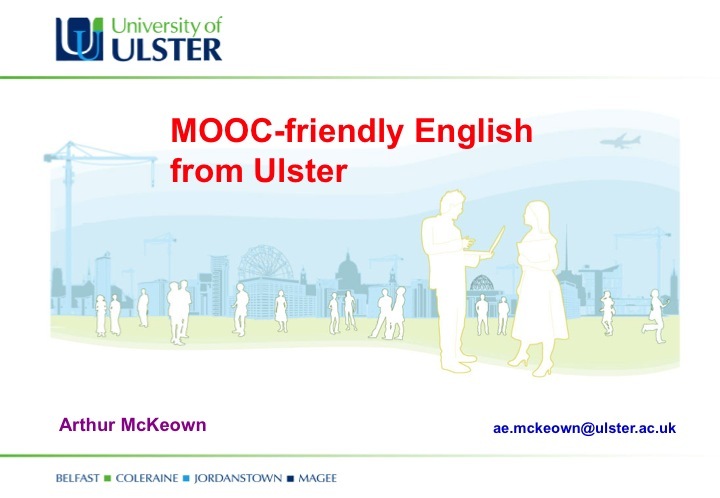 Their various observations and comments endorsed my initial view that there was an potential opportunity to develop general English language learning resources in a MOOC format. The genesis of the idea was in my awarenesss that there was an opportunity to provide resources which were suitable for use by those who were interested in entering the English for Employability programme provided by the Business Institute at Cavan Innovation and Technology Centre. 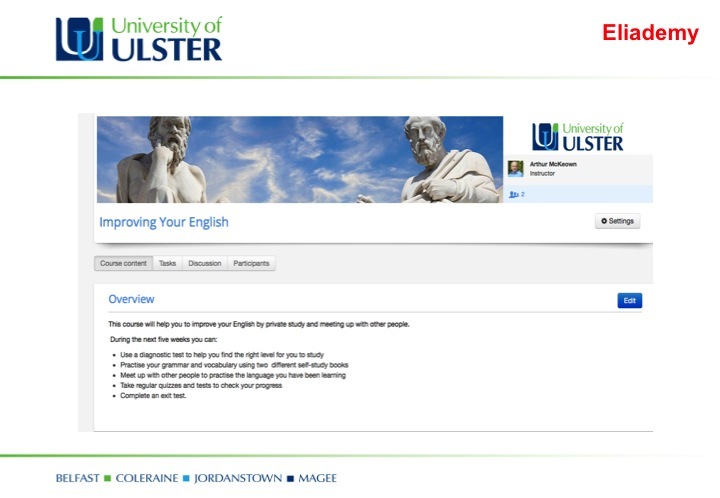 A key part of the business case lies in the need to demonstrate the potential 'pipeline', whereby those who successfully complete the MOOC successfully and then move successfully through the English for Employability programme could then enter the University of Ulster's Certificate in Management Practice and, from that, the Advanced Diploma in Management Practice. 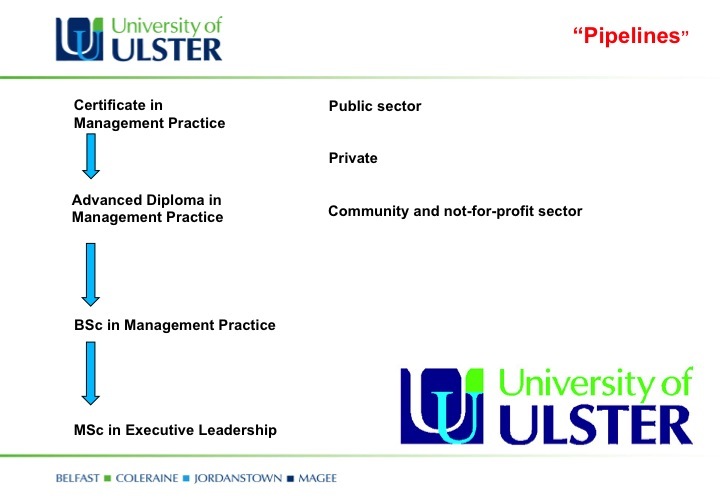 There is already some evidence of this 'pipeline' being both needed and attractive to potential participants: five students currently in the Advanced Diploma began with successful completion of the English for Employability programme, then completed the Certificate in Management Practice and have now moved on to the Advanced Diploma. 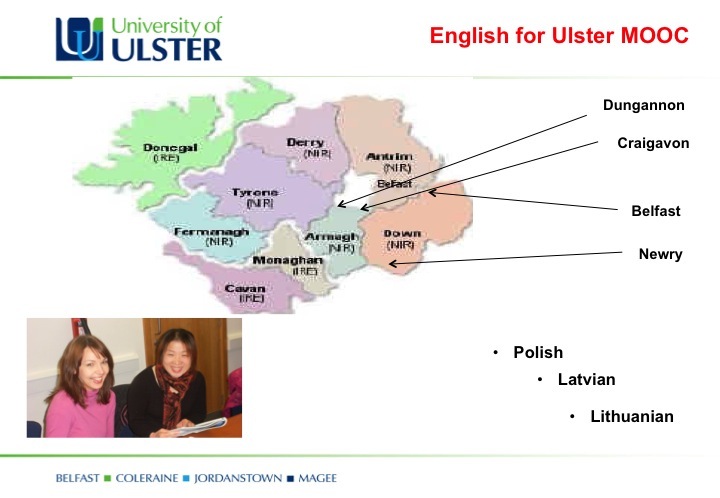 If a pilot program can be run successfully in Cavan, then there is potential for extending the business model for the programme to areas elsewhere in the north of Ireland that are known to have considerable populations of potential students, especially in the Polish, Latvian and Lithuanian communities. This is totally consistent with the University of Ulster's mission statement, in which we seek to widen participation and to open access to our various programmes. 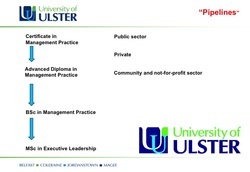 And if the model works for an access route to management programmes, how does it needed to be modified to suit the needs of widening participation on programmes offered by other faculties? The purpose of this slide is to indicate the elements within the proposed programme, lasting six weeks and providing a 'wraparound' to two highly regarded publications that can deal with the remedial work required for English grammar and vocabulary. 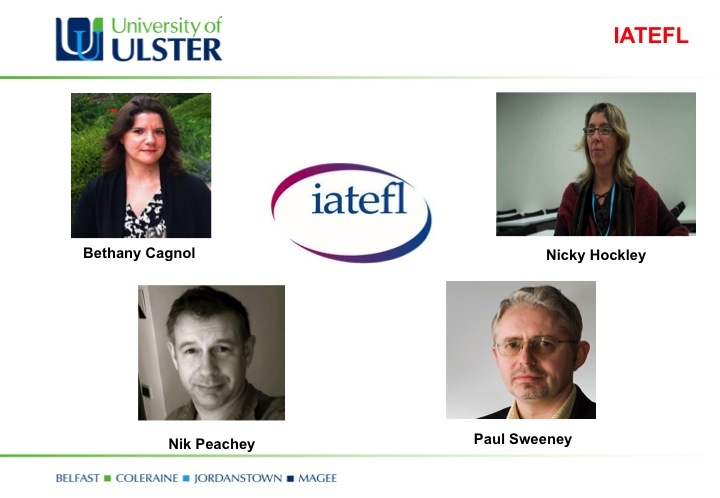 I also make mention of the potential use of meetups, in which autonomous learners can take responsibility for the content and direction of the speaking practice required in the programme. 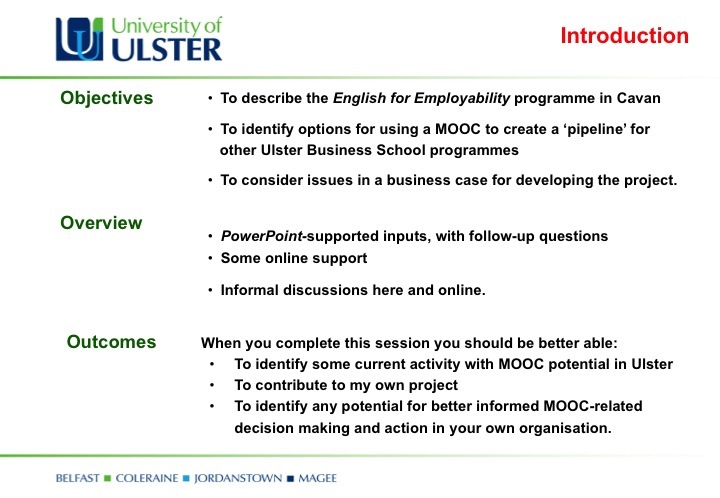 This slide deals briefly with the one other similar programme I have been able to identify so far that adopts a MOOC format; but this is focused more on EAP (English for Academic Purposes), especially for those who aspire to enter the Australian education system. 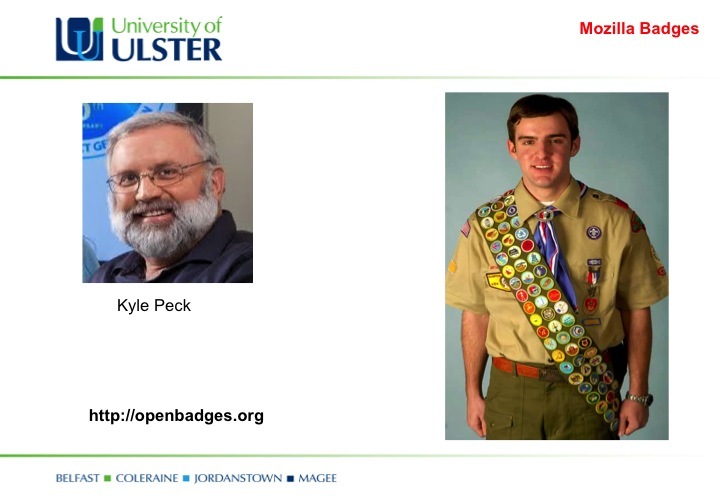 There is also an opportunity to devote a slide to the idea of accreditation through badges, as developed by the Mozilla Corporation, or the use of Accredible as a means of recognising achievements in the proposed programme. 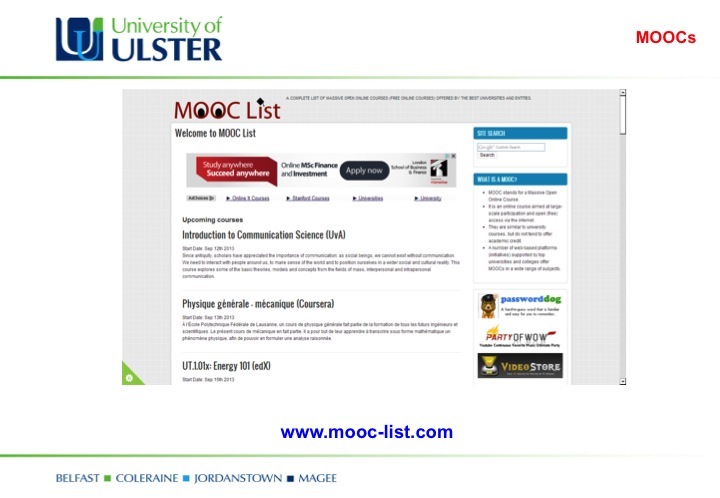 This slide reports on some work in progress that is being created using Eliademy; a particular benefit of this is its interface with Moodle, so that online quizzes and tests can be taken by students whose results will automatically appear in the gradebook. 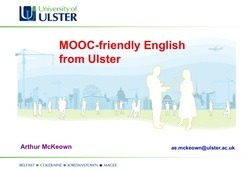 I use the various organisations identified here to indicate a range of recent and relevant online resources that can be incorporated for free into the proposed MOOC environment, so that individual students can have the benefit of additional practice in areas of particular need; for example, grammar, areas of vocabulary, collocations, English for a range of different professional purposes. 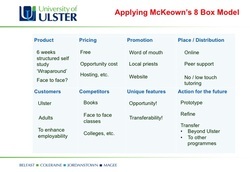 This is a dense slide, indicating some significant decisions that are being made in scoping the business case. 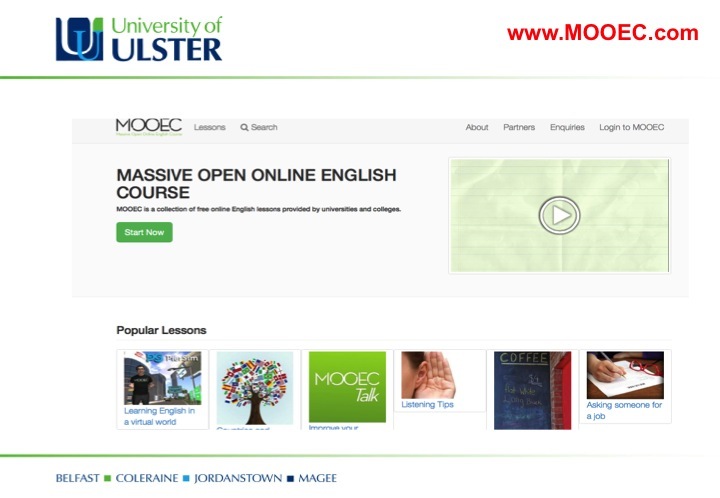 The final slide is used to invite those attending the presentation to explore for themselves the range of different courses, current and forthcoming, that are available at this aggregator that draws together information from a number of different platforms used for MOOCs. 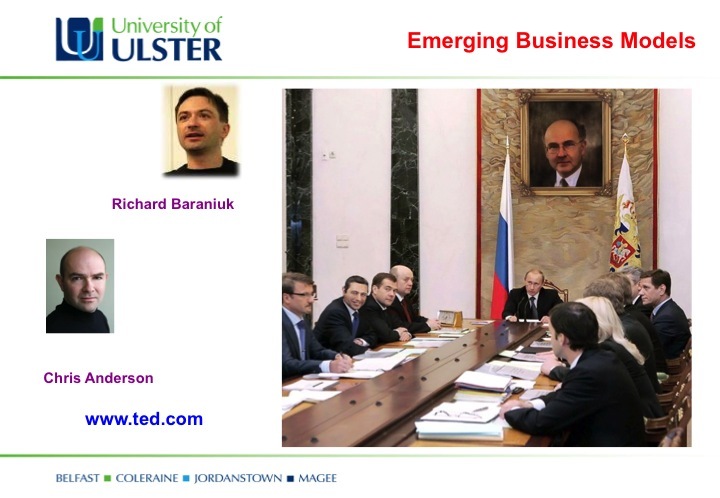 I will appreciate any comments or suggestions for improvement; in particular, I hope I have been able to express the idea succinctly and to communicate significant issues will need to be addressed if it is to be endorsed by senior management within the Ulster Business School.